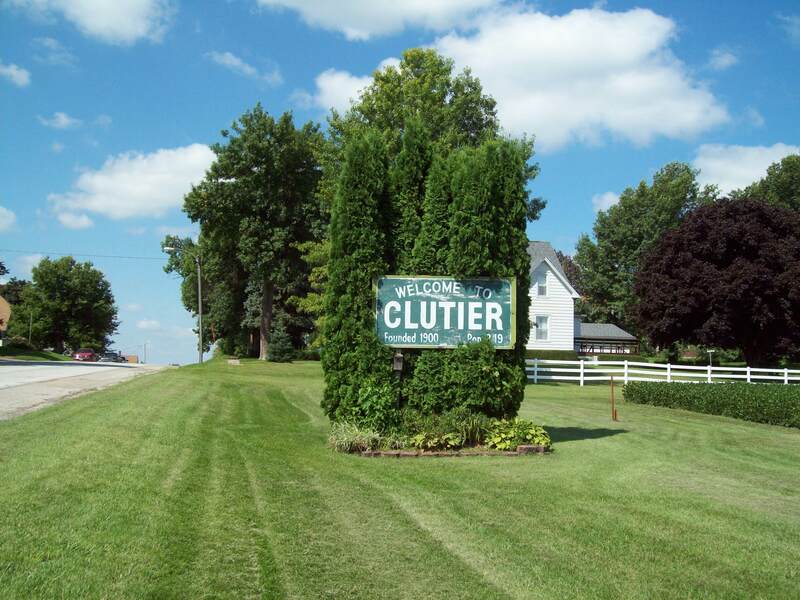 The town of Clutier, situated on a gently sloping tract of land in the Salt Creek Valley of Oneida Township in Tama County, was founded in 1900 by Wm. E. Brice, the principal capitalist and promoter of the railroad project known as the Iowa, Minnesota, and Northern. Mr. Brice named the town for his sister, Maude, and brother-in-law, Bertram L. Clutier. Clutier, the youngest incorporated town in Tama County, soon became a Czech settlement. Today, more than a century later, Clutier retains its small town hospitality and is still well-known for the high concentration of catering services in the area. Many of these caterers specialize in Czech cuisine, among which the kolaches and rohlicky are the long time favorites. Clutier Bohemian Plum Festival, an annual celebration, is held the first weekend in August, and several old-fashioned polka band concerts are also held during the summer months. Clutier is also home to the charging Czechs, the girls state basketball champions of 1942. It’s ZCBJ Hall (chartered February 16, 1901) also the home of the only lodge building in Iowa still tied to its original Western Bohemian Fraternal Association (Zapadni Cesko-Bratrske Jednoty), now known as Western Fraternal Life Association (wfla). The lodge hall has always served as a place for Czech dances and community service activities; it is still in use today for meetings, dances, weddings, anniversaries, and includes a Czech museum.